A key tool for many ministries is the church car, van or bus. Without the ability to transport parishioners, volunteers and members of the community, many ministries would be greatly hindered. Most people do not realize that this activity poses one of the largest risks for a church. Volunteers driving the vehicles can pose challenges and increase risk. Buses and vans are unique in both their passenger capacity and in how they handle on the road. Be sure liability, collision and comprehensive coverages are chosen with the help of an advisor so that adequate limits are identified. Liability coverage pays for damages or injuries caused by this vehicle/driver to a third party or their property. Medical payments coverage provides for the medical expenses of the driver and passengers, typically in conjunction with each passenger’s personal auto policy. Buses and vans are unique in both their passenger capacity and in how they handle on the road. Be sure liability, collision and comprehensive coverages are chosen with the help of an advisor so that adequate limits are identified. 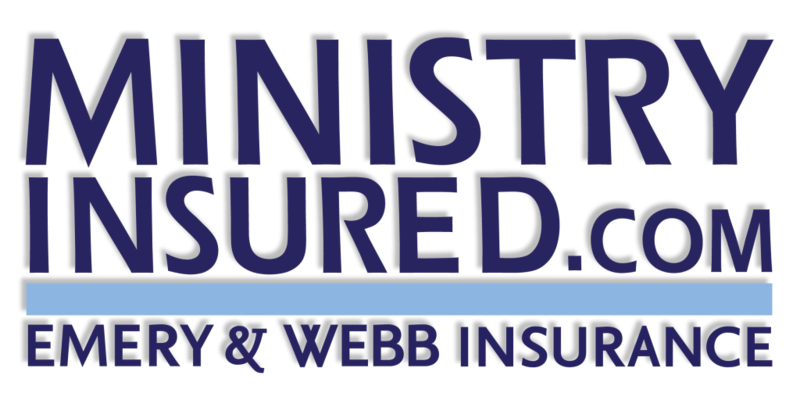 This particular coverage varies by state and can be discussed in more detail with your licensed insurance professional. Uninsured and Underinsured motorist liability and property damage are available pursuant to each state’s insurance laws, and typically pay for injuries or damages to you caused by someone who does not carry auto insurance or does not carry enough auto insurance. Comprehensive and Collision coverage are coverages, available in all states, and provide payment for physical damages to the insured vehicle. In short, Collision covers damages caused by an accident and Comprehensive pays for damages caused by things outside your control such as weather, vandalism, fire, theft or collision with an animal. Coverage is also available for rented vehicles and for vehicles used for church business, but not owned by the church. Double check your policy to make sure that “Hired and Non-owned auto liability” is included. “Hired” vehicles are vehicles rented by the church for use in church business. “Non-owned” vehicles are vehicles owned by an individual or organization other than the church, but used on church business. On Monday morning the church administrator takes her own car and drives to the bank to deposit the church offering from Sunday. While on her way to the bank, she gets distracted and rear-ends the car in front of her. Because she was on church business, the church’s “Non-owned auto liability coverage” could provide coverage for the other injured party and the other vehicle in this situation. When choosing drivers, always get a copy of their current motor vehicle report and keep it on file. If the individual has a record of accidents and violations, use extreme caution in choosing to allow them to drive your vehicles. Consider having a “co-pilot” with every driver. This allows you to avoid the scenario of a driver being alone in the vehicle with one child or student while en route to pick up others. Before allowing a driver to chauffer children or teenagers, make sure to perform a thorough background check. Require that all drivers and passengers wear seatbelts. Consider taking a second vehicle for baggage rather than towing a trailer. For all vehicles larger than a 15 passenger van, require that the driver have a CDL license. *Medical payments coverage, Uninsured motorist coverage, Underinsured motorist coverage and tort can vary widely by state. Please consult your licensed insurance representative for further information on these coverages in your state.